Though he has suffered hardships, Martin did not stop making God’s name known to the neighboring Lusi people. Some of Patrick’s prayer requests sound just like those from a missionary from your own church, while others are particular to his own culture. 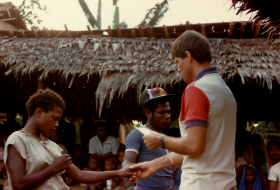 Presenting God’s Word in one village laid the foundation for disciples to make more disciples among more unreached people groups. 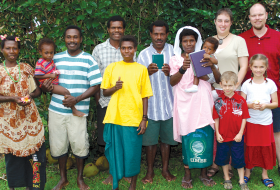 Martin has returned to his ministry as a Mouk missionary to the Lusi people after taking some time away after his wife’s death. Pray for his adjustment to ministry without his wife. 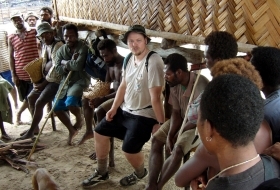 Kevin, another Mouk missionary to the Lusi people, has gone home for a short time to attend the funeral of his father. Pray that Kevin knows God’s peace in this difficult time. Rick and Anji Zook are translating Bible portions in preparation for Firm Foundations Bible teaching for the Lusi people. “So far we have 2 percent of the Old Testament or 35 percent of the book of Genesis translated and awaiting checking,” Rick and Anji wrote. “It is a small step, but very worth it. 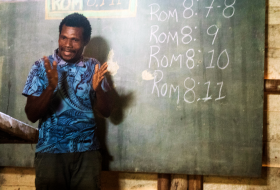 The Lusi people helping us with the translation have told us that they are excited to see God's Word in their own language.” Pray that Scriptures and lessons are soon complete, and excellent, so teaching can begin. 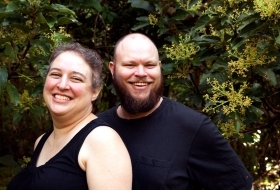 “The first translation check went well,” wrote Rick and Anji Zook. Thank you for praying. “We were able to get good feedback and make some needed corrections. 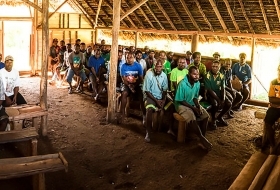 … And we all learned more about the process of translation.” Now they are ready to start translating Bible passages that are needed for evangelistic Bible lessons in the Lusi language. “Pray that we would have wisdom to pace ourselves and yet get the job done in a timely manner,” the Zooks wrote.